The DHL Fastest Lap Award trophy is presented at the end of the season to the pilot achieving the most best times over one single lap on qualifying day. As the Official Logistics Partner of the Red Bull Air Race World Championship, DHL is managing the transportation of the lightweight racing planes, spare parts, fuel and other racing equipment as well as the television and broadcasting equipment around the world for this global race series. DHL taps its intelligent logistics expertise to support the Red Bull Air Race organizers, using appropriate transport modes - including ocean, air and road freight - in order to ensure on-time delivery in the most environmentally friendly way. As in recent years, the 2019 Red Bull Air Race season opener took place against the magnificent backdrop of the Abu Dhabi sea front. As usual, the equipment for the racing series was delivered to the host city by official logistics partner DHL. The race weekend in the United Arab Emirates was dominated by Yoshihide Muroya, winner of the 2017 championship. The Japanese pilot secured the DHL Fastest Lap in qualifying with a time of 53.024 seconds, laying down a marker of his intentions to win back the title this year. In Saturday’s race, Muroya prevailed over Martin Sonka in the Final 4 by the narrowest of margins – just 0.003 seconds – to celebrate victory in the opening round of the campaign. 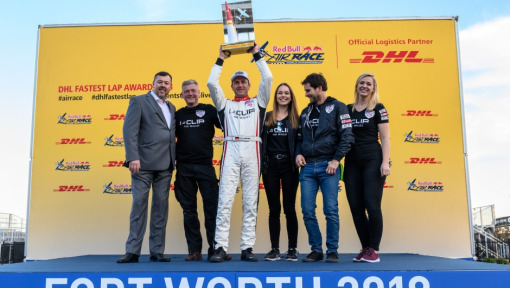 In the run-up to the season finale at Fort Worth, three pilots – Martin Sonka, Matt Hall and Michael Goulian – still had a chance of winning the Red Bull Air Race World Championship title. In the end, the Czech, Sonka, kept his nerve, winning the extremely exciting race in Texas from Hall and becoming world champion for the first time after missing out on the title in dramatic fashion last year. 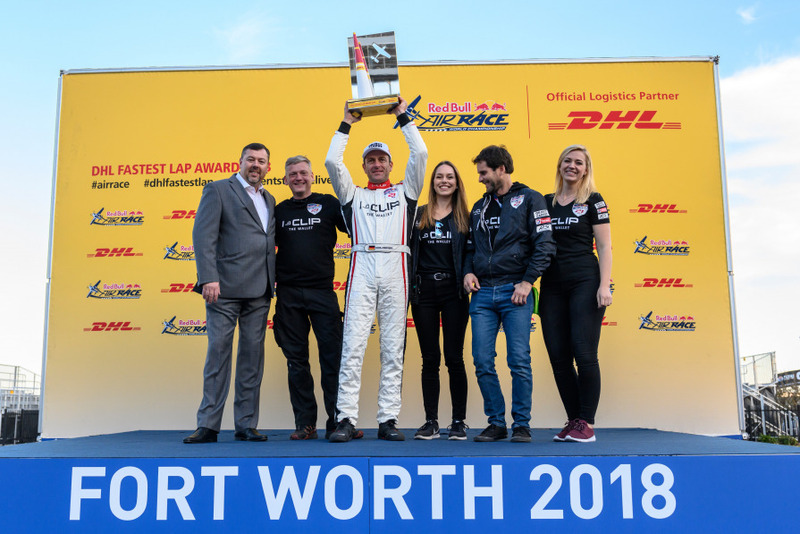 The weekend in Texas had started well for Sonka earlier in qualifying when he secured his third DHL Fastest Lap of the season, enabling him to draw level with Matthias Dolderer, who actually won the DHL Fastest Lap Award thanks to having better qualifying results. This is Dolderer’s second win in the DHL Fastest Lap Award competition after his success in 2016. The first of two race weekends in the USA got off to a perfect start for Martin Sonka. The world championship leader secured the DHL Fastest Lap in qualifying and thus went into Sunday’s race as favorite. But that’s where the Czech flyer’s luck ran out, as he was eliminated in the Round of 14. To compound his disappointment, he also lost his lead in the championship standings to Michael Goulian, Sunday’s winner. Goulian, Sonka and Matt Hall now go into the final weekend of the 2018 campaign in Texas all within seven points of each other. It promises to be a thrilling showdown. After a one-year absence from the itinerary, Austria is once again hosting the Red Bull Air Race. In qualifying at Wiener Neustadt, Matthias Dolderer set the DHL Fastest Lap for the third time this year after Abu Dhabi and Kazan. In the race itself, Martin Sonka prevailed over Yoshihide Muroya by the narrow margin of 0.036 seconds. This third win in a row for Sonka takes him to the top of the world championship standings, with just the two races in the United States remaining. After a break of two months, the 2018 Red Bull Air Race season got underway again, this time in the Russian metropolis of Kazan. Matthias Dolderer clocked the DHL Fastest Lap for the second time this year, his first having come in Abu Dhabi. Although the German pilot qualified fastest with a time of 52.615 seconds, he had to settle for 13th place in Sunday’s race. Victory on the fifth weekend of the season went to Martin Sonka ahead of Michael Goulian and Kirby Chambliss. 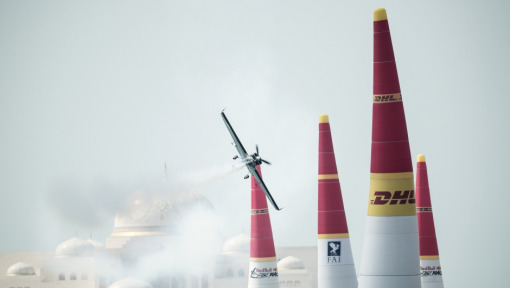 At the third Red Bull Air Race meeting of the season in Chiba, Japan, Michael Goulian secured the DHL Fastest Lap in front of some ten thousand excited fans gathered to watch at Makuhari Beach. Goulian was beaten by Matt Hall in the race and achieved a podium for finishing runner-up. Hall and Goulian now have the same points total and jointly lead the overall standings of the world championship. 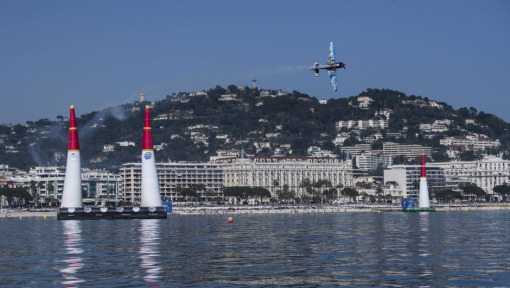 For the first time ever in its history, the Red Bull Air Race was in France for the second round of the season. Kirby Chambliss won the qualifying round against the magnificent backdrop of the Côte d’Azur in Cannes and secured the DHL Fastest Lap. In the race, the American finished in P12, while Matt Hall took his first win since 2016. Matthias Dolderer was on impressive form as he secured the DHL Fastest Lap at the season opener in Abu Dhabi. The German set the fastest time in qualifying of 52.795 minutes and also set a new track record. However, he had a disappointing race. The 2016 champion was unable to do better than 13th. Victory went to Frenchman Michael Goulian, who celebrated his first major triumph in nine years and now leads the world championship for the first time. 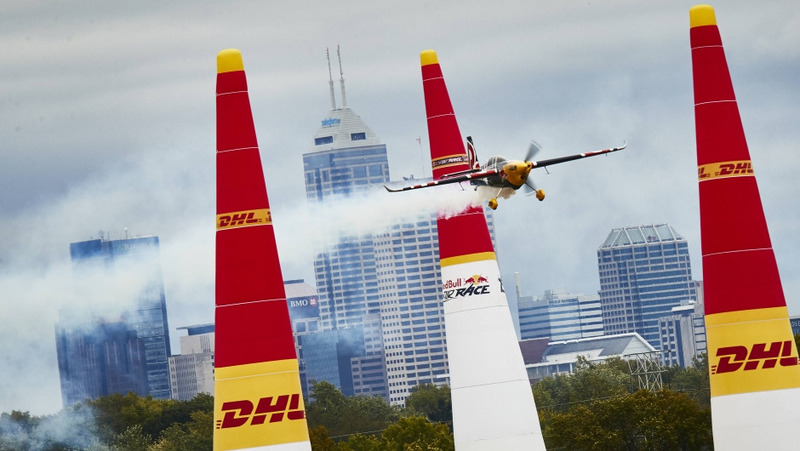 American pilot Matt Hall secured the DHL Fastest Lap in the season finale at Indianapolis with a time of 1:04.149 minutes. However, it was not enough to catch Pete McLeod, who took best time in qualifying on four separate occasions during 2017 and was presented with the DHL Fastest Lap Trophy by DHL Fan Reporter Dustin Daniels. 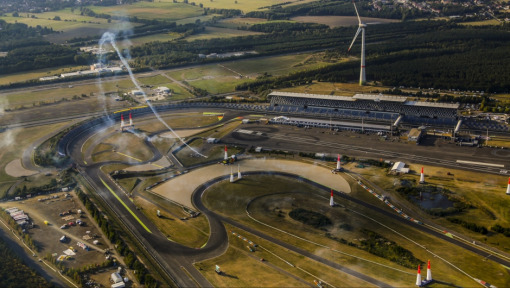 The Red Bull Air Race held its last meeting of the season in Europe at the Lausitzring. American pilot Kirby Chambliss posted the fastest lap time of 24.786 seconds in qualifying, taking the DHL Fastest Lap. Yoshihide Muroya won through in the race. He now heads to the season finale in Indianapolis with a four-point deficit on world champion Martin Sonka. The DHL Fastest Lap went to Pete McLeod for the fourth time in a row with a qualifying time of 31.392 seconds against an incredible backdrop of some 600,000 spectators in Porto. Finishing second in the race ahead of Kirby Chambliss, the Canadian was only beaten by Martin Sonka, who takes the lead in the world championship. The Red Bull Air Race held a meeting in Russia for the first time in its history. At Kazan where the rivers Volga and Kazanka meet, Pete McLeod posted the DHL Fastest Lap for the third time in a row and qualified in P1. The Canadian flew a time of 26.881 seconds on Saturday, which no one was able to better. McLeod finished second in the race on Sunday and was only beaten by Kirby Chambliss, who now leads the World Championship. The world's fastest motor sport series was back in Europe for the first time as the fourth meeting of the 2017 Red Bull Air Race got under way. The venue was Budapest, the Hungarian capital. Pete McLeod took victory in qualifying and with it, the DHL Fastest Lap on what just happened to be the 150th anniversary of his home country, Canada. The clock stopped ticking for McLeod after just 59.508 seconds, and he remained the only pilot to crack the one-minute benchmark figure. In the race on Sunday, the Canadian booked second place and was beaten only by Kirby Chambliss. The third Red Bull Air Race meeting of the season was held in Chiba, Japan, after a two-month break. Local pilot Yoshihide Muroya won, as he did last year, sending the 55,000 fans around the circuit wild. Pete McLeod got the best line in qualifying and secured the DHL Fastest Lap with a time of 54.609 seconds. This was the Canadian's first win in a quali since the race in Las Vegas in 2014. The Red Bull Air Race circus headed to San Diego for the second leg of the season, to the birthplace of California, also known as 'America's finest city'. 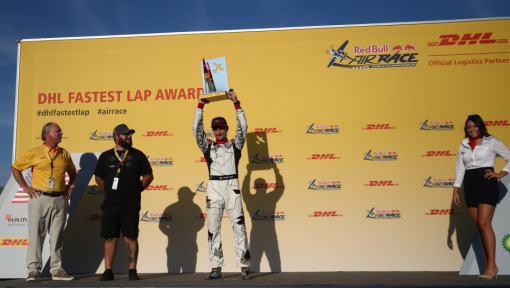 Matthias Dolderer secured best time and the DHL Fastest Lap in qualifying with a 28.684 seconds, but the reigning world champion was beaten by Yoshihide Muroya in the race, who took his second win of his Red Bull Air Race career. Peter Podlunsek finished on the podium for the first time in an unexpected turn of events. The season opener of the 2017 Red Bull Air Race season took place against the backdrop of Abu Dhabi’s breathtaking skyline. The first DHL Fastest Lap of the year was secured by American Mike Goulian, who posted a best time of 25.672 seconds in qualifying on Saturday. In the race, Goulian finished sixth and was beaten by a number of pilots, including Martin Sonka. The Czech pilot claimed his maiden victory in the Red Bull Air Race and was followed home by Juan Velarde and Pete McLeod to complete the party on the podium. The meeting in Abu Dhabi was the 75th Red Bull Air Race in the history of the event! Following the cancelation of qualifying in Las Vegas, the eighth and last race of the year also had to be stopped during the "Round of 14" because of the continuing stormy conditions. 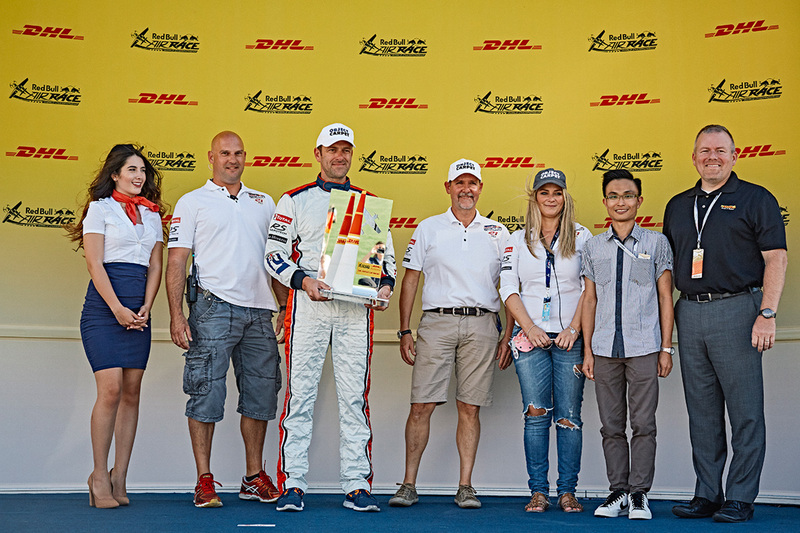 There have been six different winners of the DHL Fastest Lap, but as Red Bull Air Race World Champion Matthias Dolderer collected the prize in both Budapest and Ascot, he has been named the overall winner. "Winning this is another plus to the season. It's always nice to be fastest in Qualifying and it's acknowledged that we've been on the right path all season. I could get used to collecting trophies!" said Dolderer. During the campaign, DHL also offered the chance for one fan to win the chance to be at the final in Las Vegas. The entrants had to guess the time of the DHL Fastest Lap at the Eurospeedway in Lausitz. Chooi Kim Lam from Malaysia was the closest guessing 26.319s. Nigel Lamb collected the fastest time with 26.315s, just 0.004s different. "It's unbelievable to be here and present this award. I predicted my time by looking at the practice times at Lausitz and worked out what it would be for Qualifying. I was very excited to be here," said Lamb. 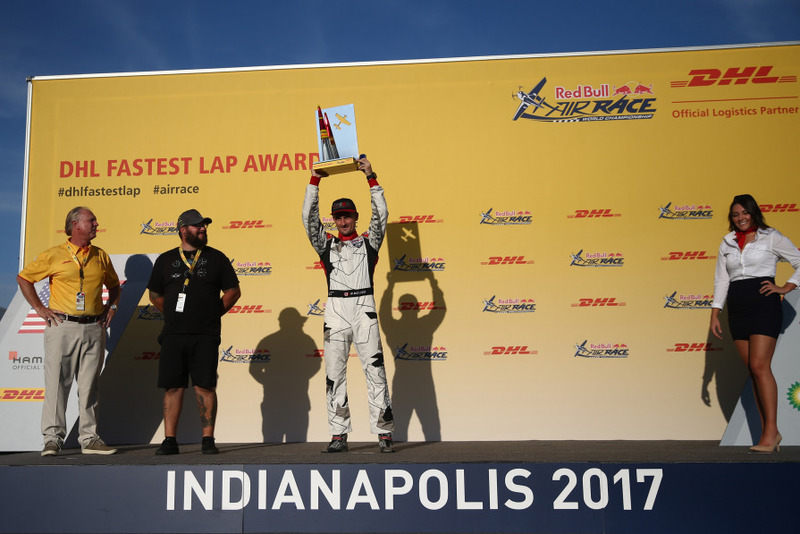 The Indianapolis Motor Speedway – not only the largest sports stadium in the United States but also the biggest motor racing venue in the world – hosted the Red Bull Air Race World Championship for the first time. Japan’s Yoshihide Muroya dominated qualifying on Saturday and picked up the DHL Fastest Lap Award with a time of 1:02.073 minutes. It was also a new record for the circuit. Germany’s Matthias Dolderer won the race on Sunday to clinch this year’s title ahead of the season finale. In the final fixture of this season's Red Bull Air Race to be contested in Europe, Nigel Lamb posted the DHL Fastest Lap. The British flyer clocked a time of 26.315 seconds at the Lausitzring to finish top in qualifying. In the race itself, however, Lamb failed to progress very far, going out in the Round of 14. The winner was Australia's Matt Hall ahead of local favorite Matthias Dolderer and Pete McLeod from Canada. World championship leader Dolderer posted the DHL Fastest Lap once again at Ascot as he had done in Budapest. The German set a time of 1:05.038 minutes in Saturday's qualifying, making him the fastest pilot in the field. However, Dolderer was beaten on Sunday by Australian Matt Hall, who won the race at Royal Ascot Racecourse not far from London. Terrible weather conditions – strong winds and rain – completely messed up the program for the Red Bull Air Race in Budapest. As qualifying could not take place, the DHL Fastest Lap was awarded in the race on Sunday. With a time of 58.653 seconds, Matthias Dolderer could not be beaten in the Round of 8. Conditions were too bad to stage the Final 4, so the German’s time stood and he was also declared the winner, extending his lead in the standings as a result. With qualifying at Chiba having been canceled due to bad weather, an exception was made and the DHL fastest lap was awarded during the race itself. The trophy went to the Czech Republic’s Martin Sonka, who set a time of 1:04.352 minutes in the Round of 14. Sonka eventually lost out in the general classification to Japanese local favorite Yoshihide Muroya. The Red Bull Air Race was watched by 50,000 enthusiastic fans. Local pilot Hannes Arch rose to the challenge on home turf by securing the DHL fastest lap at the second Red Bull Air Race fixture in Spielberg. The Austrian posted a time of 25.822 seconds on the first round of his second qualifying run. On Sunday, Arch had to concede victory to Matthias Dolderer but at least had the consolation of the runner-up spot in his home race and a first podium appearance. 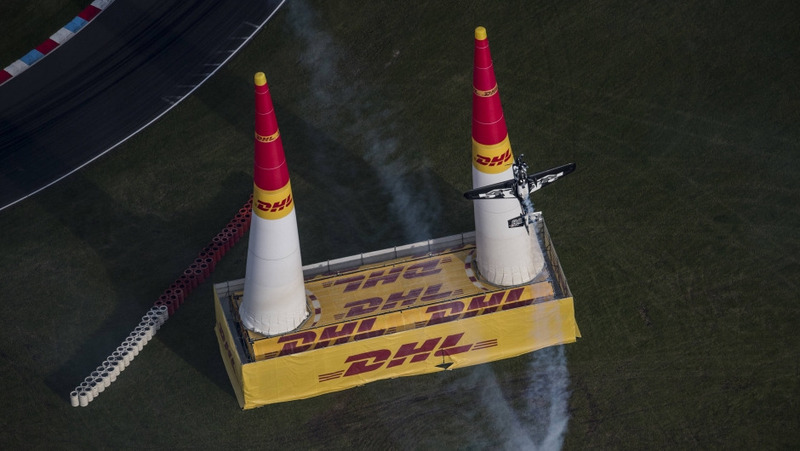 Matt Hall was the first pilot ever to post a DHL fastest lap in the Red Bull Air Race. Against the backdrop of the impressive skyline of the capital of the United Arab Emirates, the Australian covered the pylon circuit in 28.863 seconds on his second qualifying run at the season opener in Abu Dhabi. Hall placed second in the race and was only beaten by the winner, Paul Bonhomme.